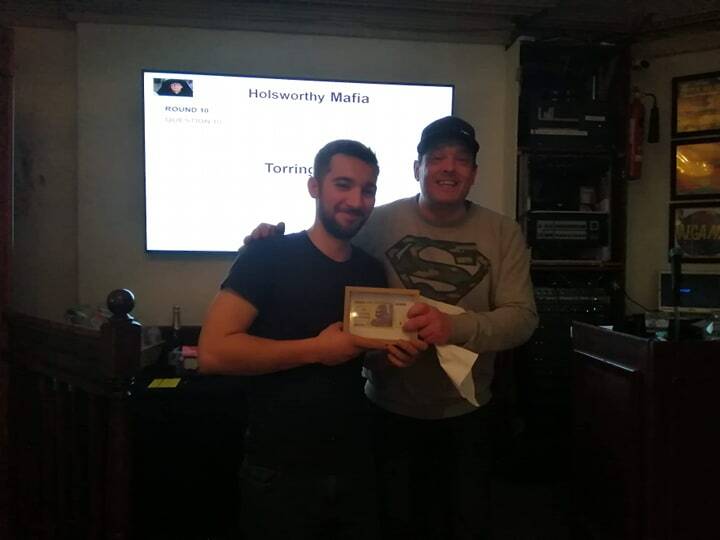 The Holsworthy mafia held their fist annual quiz on Saturday the 30th of March. It was an amazing night that raised £500 for the local community first responders. After 10 rounds of questions, and only a couple of f*ck up’s by the devilishly handsome quiz master, the event was finally won by ‘The wise Guys’. For winning, the quiz the team were presented with the ‘Colin Punter’ memorial shield and a bottle of wine each, and our thanks for taking part. If this was a normal quiz, that would literally be the end of this write up, as to be honest i had drunk several pints by the end of the night, and my memory was somewhat hazy in the morning, so writing this has taken a while. I as waded through the fog of my hangover the next morning, I thought it prudent to have a look at some of the answers that were given. Most of them were pretty standard stuff. Wrong, but only slightly. Then there was the team the ‘Hit Men’. The Hit men were a young team, that consisted of local people that had obviously never spent any time in the education system. You have heard of the expression ‘dumber than a box of frogs’. Well this team were dumber than 10 boxes of really stupid frogs. It didn’t help that the team were aided by a young man called Osama* that had spent the last 10 years of his life living in a cave in Afghanistan. What made them so bad, nobody is asking? Well here are a few examples of their answers they gave on the night. Q: To what plant family do the Radish and the Turnip belong? Q: In which country did Scampi originate? Q: What is added to Whisky to make a Whisky mac? Q: What is ‘SPAM’ short for? Q: In the bible, how is the Decalogue also know? Q: Who wrote the poem the ‘Jabberwocky’? Q: Who was known as the maid of Orleans? Q: What is significant about the death of Ruth Ellis in 1955? Q: Who said in 1963 ‘All free men, wherever they may live are citizens of Berlin? Q: Who reached number 7 inn the UK charts in 1972 with the single ‘Layla’? Q: In Music, how is Harry Webb better known? Q: The Cult Maniax were a punk band from Torrington in the early 80’s, what was the name of their famous record that got banned? So there you have a sprinkling of the answers this team gave. Being the kind hearted group that we are, the mafia decided to award a booby prize to the team with the lowest score. Now we are not going to embarrass them by telling you that they scored 18/100, but it came as a surprise to no one, that this team of people with a combined IQ lower than that of a brick, won the booby prize. 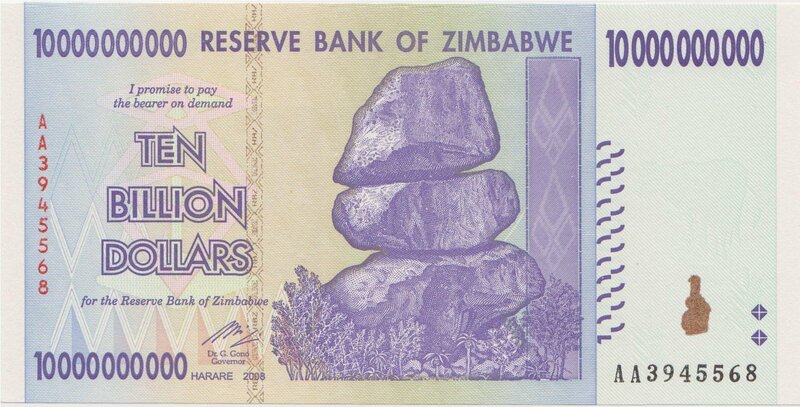 We were delighted to award them 10 billion Zimbabwean dollars for their monumentally bad effort. Here’s a pic of Osama* receiving his teams prize. In all seriousness thankyou to everyone who helped and to everyone who took part. It was a truly funny night and we raised a great amount for a very worthy cause.